I'd say landscaping in this city is better off sticking with the tropical/subtropical look. The coastal SE US flora is more than enough to satisfy this, with species such as magnolias, various green oaks, and pines. Very lush, and quite eye-catching when combined with graceful palms and colorful flowers. The plants do very well in the humid climate. It goes well with the bayou landscape. Deciduous trees are okay under certain context, especially the cypress species, or semi-evergreen warm-climate types. Otherwise, they largely are ugly and white-bread, and are better off being wiped out. Same goes for scrubby stuff like Chinese Tallow, mesquite, and huisache. I'd say landscaping in this city is better off sticking with the tropical/subtropical l﻿ook. The coastal SE US flora is more than enough to satisfy this, with species such as magnolias, various green oaks, and pines. Very lush, and quite eye-catching when combined with graceful palms and colorful flowers. ﻿The plants do very well in the humid climate. It goes well with the bayou landscape. Who are you to say what the ideal aesthetic is? I can't decide if I think you're trolling, or serious. Either way you have the right to an opinion. 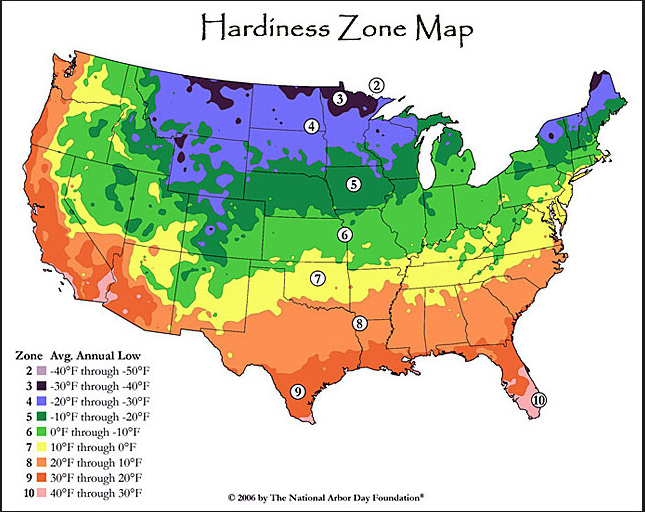 For those of you who want to look at some facts, Houston is in Zone 9. This means it will hard freeze, likely at least once a year. The aesthetic that AnTonY is describing would be a waste of money, and take our natural environment in a direction that is unnatural. Houston is very much 'gulf coastal plains' meet 'pine forest'. If you want an example of our natural environment, check out what Memorial Park is doing to restore their forests. As for landscape choices... I would recommend we stay close to our natural roots, and avoid plants that freeze easily (tropical). Sub-tropical looks can be achieved in moderation with smart plant selections. If you do decide to go down the tropical route, find the hardier varieties and mix them in with some Texas natives. And yes, I am in the business. For some reason, people believe that "the grass is greener on the other side of the fence", and tend to dismiss native plants as ordinary and unattractive. Kate ("McMansion Hell") Wagner wrote a thought-provoking article for Curbed called "The Case Against Lawns" which also emphasizes the role that native species play in defining a sense of place. Trees are only part of the equation; we should also be questioning whether acres of St. Augustine grass is necessary, or even desirable. We should exercise caution when selecting exotics; the chinaberry tree is a non-native that was introduced because of its rapid growth and attractive appearance. It's now one of the most problematic weed trees in the Houston area. Kate ("McMansion Hell") Wagner wrote a thought-provoking article for Curbed ca﻿lled "The Case Against Lawns" which also emphasizes the role that native species play in defining a sens﻿e of place﻿. Tree﻿﻿s are only part of the equati﻿﻿﻿﻿on; we should also be questioning whether acres of St. Augustine grass is necessary, or even desirable. We should exercise caution when selecting exotics; the chinaberry tree is a non-native that was introduced because of its rapid growth and﻿ attractive appearance. It's now one of the most problematic weed trees in the Houston area. I have been designing landscapes for 3 years and have not once used St. Augustine. There is so many better options. I have always wondered whether we could solve or at least significantly mitigate our flooding problems if we converted everyone's lawns to mini bioswales planted with prairie grasses and other long rooted/spongy plants. The runoff rate from St. Augustine is pretty dismal. I also wish people would do more with natives and xeriscaping and stop making every yard and greenspace look the same. I had monkey grass and creeping jasmine in a shady spot in my backyard. I pulled it out and replaced it with inland sea oats and Cherokee sedge. It looks great. It is lush and green. The inland sea oats are deciduous but grow back in spectacular fashion every spring. I have never had to fertilize and only had to water them the first few weeks after transplanting. Yet, it is almost impossible to find Cherokee sedge and very rare to find inland sea oats at even the garden shops that hold themselves out as selling natives. I actually very much agree with @Avossos I used to think that there should be just one "ideal aesthetic" for Houston, but we are one of the most challenging landscapes to design for in terms of climate/environment. I would recommend driving the entire length of the Grand Parkway to get a sense of just how complicated our environment is. Houston sits on maybe 3 different biomes (wetlands, sub-tropical, grasslands) with many sub-categories within them. To the SE we have a lot of depressions with a lot of wetlands, to the SW / W we have a lot of grassy flatlands with very few actual wild trees that are very short, to the NW we start to get some sloping and intermix of Oaks and Pines, to the North we get a little more hills and pines, to the NE we get Pines mixed with sub-tropic groundcover / wetlands, and to the E we get more wetland/marshy terrain. The flatness of the landscape and its possible exposure to radical temperature changes, hard rains, and hurricanes makes even more of a challenge. Instead we have to be more pragmatic with landscape solutions here that lean functional than aesthetic. Luckily, there is a large variety of native plants that are incredibly function, but also aesthetically pleasing. In the end though, each project is going to be different depending on where you are at above. Context is key. Yeah lets not forget that some people like to retroactively come up with some "romantic" notions of what our aesthetic should be. Most people would be surprised that about 90% of the live oaks that line our streets (or even most of the trees we have in general) were all planted. Most of the landscape here was completely flat and almost entirely absent of trees until you got to the edge of the piney woods. Any natural trees in these parts lined the bayous. Just randomly and subjectively choosing a "moment" in history and deeming it "natural" is one of the biggest problems that I have with the environmental movement today. Do we have an affect on the climate? yes. Could we be better stewards? yes. Do we know what is the best climate for us and for others.....hell no haha. By the way I'm wondering looking at that map if you think we are actually slowly moving to a more temperate climate. I've been making this argument recently. The climate is definitely shifting. We are getting more well defined springs and falls than we used too. St. Augustine is literally the worst kind of sod that we could use given our natural climate. Our soil is $hit and becomes rock after absorbing a certain amount of water making it hard to retain runoff. St. Augustine makes matters worst because its actually a vine, not a type of grass. Its grown is dense which makes it harder for water to get into a ground when it already has a tough time doing so. Its also more expense than the seed grass that is natural to the area. The only reason why we see massive use of St. Augustine grass is client expectations of a finished product (completed building). They expect when the building is complete that it will also look green and pretty. Seed grass takes a bit to grow and fill in. St. Augustine looks instant. This is the main reason its used. If clients didn't care about that immediate end look then we would not use it. The only justification to ever using St. Augustine is on the border of footpaths as it holds better to foot traffic. With that being said I've been seeing more a trend to seed grass and a lot more gravel which is good. I have already accounted for all the concerns that you brought up. Hence why I specified SE US flora in the original post. Perhaps if you refrained from the knee-jerking, you would have seen that. I despise the suburban design, and everything associated with them, including lawns. You'll hear no argument from me when it comes to abolishing them. I'll admit I have a soft spot for tropical landscaping, my mother grew up in Miami, which is my favorite city, having spent a lot of summers there growing up, even had my bachelor party there. When I bought my house, I went very tropical in the backyard - bananas, philodendron, ginger, bird of paradise, etc. I was trying to recapture the feel of my grandparents' backyard. I even went tropical with the fish I stocked in the pond I installed - Central American cichlids. But, even though Houston doesn't get a hard or long winter, we do get enough weather to kill off a lot of the tropicals. Some of them come back, bananas, ginger, but others, no matter how hard you try, die with just one night in the 20s, no matter how well you try to cover them. And even with the bananas, ginger, and others that come back from the roots (even cannas, that look tropical but aren't), you have a period of time where your yard looks like crap (like right now) because they're all cut back. Oh, and elephant ear taro, even though they are very hardy and come right back, they are horribly invasive, will take over your beds unless you're always on top of them. I'm glad I didn't go tropical in the front yard, would be just too much work in the winter-spring to keep it from looking like an eyesore. My backyard still has a somewhat tropical look, but as stuff dies off I replace it more and more with natives. There are actually natives that kind of look tropical, if that's what you want to go for aesthetically. Buchanan's is a great source. One plant I have really enjoyed is a black spanish grape, a hybrid (possibly natural) of an old world wine grape and a native American grape. The Spanish missionaries used to use it to make communion wine in Texas and other parts of northern New Spain back in the 1700s. Last year was the first year I got enough grapes to try making wine with it, ended up with a nice hillbilly wine from it. Even my pond, I've gone full native. Mosquitofish (Gambusia affinis), sailfin mollies (Poecillia latipinna), and various smaller sunfishes (Lepomis sp.) like orangespot and dollar that I catch from local water bodies. They provide visual interest in the pond, keep the mosquito larva population at bay, last through even the coldest Houston winter, and the mosquitofish and sailfin mollies replenish their populations on their own. When we moved our trees were several water oaks that were put in when the house was built in the mid 60s along with one magnolia tree and two Chinese tallow. We took down the Chinese tallow almost immediately, Chinese tallow is a nasty invasive and should be exterminated with extreme prejudice wherever found. I hate the magnolia, it is so messy, sheds huge leaves all year round, and pods that have to be picked up as they fall or else my dog will eat them (seeds are poisonous, yes, my dog is stupid). The water oaks are all end of life now and the next few years we'll be taking one down per year. Other than the cost of taking them down and replacing them, I'm not sad to see them go, especially this time of year, they're so freaking messy. Because oak trees dominate in our neighborhood, I'm enjoying replacing the oaks with different trees. My favorite so far is a drummond red maple, a native to the area, a fast grower, and has consistently beautiful fall foliage. Other than cleaning those leaves up in the fall, which is more a joy than a chore, it's a very tidy tree as well. Also put in a redbud and a flowering dogwood. I really want to rip out my St. Augustine and replace it with buffalo grass. I think about what I'd save on water every summer. First I have to convince my wife, and then the HOA. Although, I'm not even sure buffalo grass is the best choice, especially for my backyard, which is fairly shaded. Avossos, what grasses do you recommend, and are there places I could go to see what these grasses look like in a lawn (especially to convince my wife)? I live along Buffalo Bayou, so for my neighborhood, a lot of temperate deciduous trees would blend well into the adjacent mixed hardwood riparian forest that is Terry Hershey Park. It's not that challenging or complicated. The main challenge when it comes to landscaping here is the soil. Address that, and all the vision desired is free for the having. Another big problem is equating "natural" with "better" (A.K.A. appeal to nature). Wiping the entire prairie out, and replacing it with subtropical jungle forests would go against conserving nature, but would ultimately benefit the landscape here. Both objectively and aesthetically. The climate has indeed become more temperate and equable, all thanks to tropics expansion, with the Hadley cell expanding northwards. While there have been quite a few snow/ice events recently, winter severity has been on an overall declining trend compared to the 20th century. Before 1989, the Houston would seen temperatures in the teens with quite some regularity, but since the 90s, such temperatures have only happened once (Jan 2018). The stronger Hadley cell is slowly, but surely, reducing the severity of the jet stream swings that result in these severe cold snaps. Springs and falls are becoming much drier and sunnier, El Nino events not-withstanding. Houston and Texas used to see more regular severe weather threats during those shoulder seasons, but activity has since shifted north and east towards the Mid-South "Dixie Alley." The same reduction in jet stream swings during winter also carry through spring and fall, leaving stronger geopotential heights in the Houston area during these transition seasons. This, combined with stronger influence from the Mexican Plateau, kills off the threat of severe weather events, including supercells and squall lines. And summers have been rainier here since the 2000s compared to previous decades, even when factoring in that 2011 dry spell. The expanded Hadley Cell takes the apex of geopotential heights further north from Texas during summer, allowing stronger influence from the tropical easterly belt. To start off, this is great knowledge that I don't have, and I'm interested in looking into more in the future. Lots a great data, and things that are very concrete and specific, and dare I say complicated. The distinctions are clear here in what you are knowledgeable in and what you aren't. Claiming that what you are either proposing or the subject we are discussing isn't "challenging or complicated" is the pinnacle of arrogance. This would be like me reading your climate analysis, and claim that "oh well I don't know what the big deal is. Its not challenging or complicated!" Try walking in my shoes as someone who is in the design/architecture discipline and you will understand just how complicated it is. I'm not here to rank or ask whether which is more complicated, design or weather, but they are both incredibly complicated and challenging to get right. If it were easy do you think we would have done all of what you proposing, or plant the right trees, and design all the right things? The fact this isn't a regular occurrence means is insanely complicated. To your next sentence, it be foolish to even try to equate "natural" and "better" as they mean different things entirely. In some instances a better design asks for something to be "not natural" and some better designs will call for "natural". The comparison isn't between "natural" and "better", but "best" and "worst". Wiping out the entire prairies for instance....is not "best". Neither is making everything all jungle forests. This isn't as black and white as you suggest. This doesn't even get into the political, economical, and societal implications of these things which I'm certain you haven't dared to think about. With that being said, if we can agree on the grounding definitions to start on for this kind of conversation (best and worst not natural and better) as well as just having a general basis of respect for both disciplines involved in this conversation then we can get into more specifics. I acknowledge that the data you brought to the table makes the weather portion of this conversation complex (which I had no doubt in the first place and respect), but you have to do the same and acknowledge the other side. Your response show very little respect for the discipline I'm a part of, and your authoritarian solution to this "problem" doesn't help the conversation. Can I ask you a question - how much gardening do you do? Do you have a garden? I'm pretty serious about it, and I can tell you soil is not the only issue. My vegetable garden is a raised bed, I brought in compost and expanded shale, etc, to make my own good soil so I wouldn't have to deal with our native soil. I still have to deal with our extremely variable climate, sudden cold snaps as late as March, torrential rains that can drown everything out, followed by weeks of parched heat waves with temps above 100 and no rain in sight. Not to mention insects, fungal infections. Yes, winters have become shorter, summers rainier, etc., but it is still a highly variable climate. Any time you bring in plant species that didn't evolve to handle our variable climate, you're dealing with more than just soil. I am going to assume that you are employing extreme hyperbole here as a rhetorical device to make a point. I hope we've gotten beyond hubristic ideas like 19th Century "rain follows the plow" or early 20th Century attitudes like draining the ugly ol' Everglades to make South Florida a tropical paradise for people. The prairie is obviously there because it is the ecosystem best adapted to the conditions. Now, giving you the benefit of the doubt that you were hyperbolizing, I am going to agree with what I think is your point. As a scientist I can appreciate the prairie ecosystem for what it is, and I also enjoy hiking and mountain biking through the native riparian woods along Buffalo Bayou and in George Bush Park. They're all natural and beautiful. But neither is the way I want to landscape my yard, and really I think that's what we're talking about here, landscaping, not our native ecosystems. I will use a native plant if I like the way it looks, partly because I know it will also be easier to care for, but I won't use a plant I would otherwise ignore just because it is native. As long as we aren't planting invasive species, I don't think we have to be zealots about only planting native species. I think a lush tropical yard can look fantastic in Houston, fit in just fine aesthetically, if you have the money and patience to maintain it and replace plants that will be lost during cold fronts. I think where I differ from you is thinking that the tropical/subtropical look is the only appropriate aesthetic for our area. I can only think of a few landscaping aesthetics that would absolutely be a no-go for Houston. Xeriscaping, for one, if you're trying to make your yard look like you live in Santa Fe or Tucson, it's going to stick out like a sore thumb in our lush, humid green natural landscape (not to mention all the plants getting overwatered and succumbing to fungal infections). A Mediterranean yard...eh, there aren't going to be a lot of places where that won't be incongruous either. It would certainly look stupid in the Woodlands or the Memorial Villages, but maybe out in Katy you could make it work. I think you also have to take into account your architecture and the dominant architecture of your neighborhood. If your neighborhood is all brick Georgians, palm trees and philodendrons are going to look ridiculous, you're going to want to go with a more traditional temperate American landscape. On the other hand, a red tile roof and spanish style stucco practically screams for tropical to me (but again, my mom grew up in Coral Gables) and would look dumb with more formal temperate planting. And then there are plenty of architectural styles that could go either way, like craftsman or modern. The distinctions are clear here in what you are knowledgeable in and what you aren't. Claiming that what you are either proposing or the subject we are discussing isn't "challenging or complicated" is the pinnacle of arrogance. This would be like me reading your climate analysis, and claim that "oh well I don't know what the big deal is. Its not challenging or complicated!" Try walking in my shoes as someo﻿ne who is in the design/architecture discipline and you will understand just how complicated it is. I'm not here to rank or ask whether which is more complicated, design or weather, but they are both incredibly complicated and challenging to get right. If it were easy do you think we would have done all of what you proposing, or plant the right trees, and design all the right things? The fact this isn't a regular occurrence means is insanely complicated. In terms of the aesthetic I'm aiming for, soil is largely the only challenge. The other factors like weather either pose indirect challenges, in that they only become problematic through the soil, or are trivial non-factors. For example, the torrential rains are actually great weather for vegetation, but with the clay soil here, drainage is poor, increasing the occurrence of wet feet, which, in-turn, leads to greater susceptibility to the fungal infections and insect attacks that you describe. The heatwaves you described are largely a non-factor for Houston compared to areas like Austin or Dallas, but even then, the clay soil amplifies the issue due to how it gets hard and cracked to prevent easy water percolation. Many of the issues I've described above also happen with raised beds, but simply due to mistakes in creating them. Such as lack of proper elevation above the native soil that creates a "wet bucket" effect. On the other hand, forests, by nature, are more self-sustaining, so the weather poses less of an issue than with a typical home garden. And as I've mentioned, the subtropical jungle aesthetic I'm aiming for can already be accomplished just with native Southern US evergreens, such as live oaks, magnolias, pines, etc. So the concerns about droughts, freezes, and climate variability are moot. My points are that changing what is natural isn't always "bad" (which you agree with), and that the prairie here only because of the soil (i.e. edaphic). Therefore, wiping it out, and replacing it with subtropical forest will not cause any harm. If anything, it would give benefits: higher biodiversity (more trees, shade tolerant plants, bird stopover, etc), better aesthetics, more shade from the heat, productivity. And because the soil would be modified for forest growth, drainage improves, and there would be less potholes on the roads. I've never understood the prevalence of brick across many of the suburbs here. Then again, I despise suburbs here anyway. So I’m guessing you haven’t actually maintained a garden in Houston. My read of you is you seem fairly young and full of yourself without the life experience to have learned how much you don’t really understand- Luminaire was right, “arrogance.” And he touched the surface when he spoke about the divide between what you know and don’t know, but it goes deeper than that, as this thread and the one on Galveston beaches demonstrates, you have a skill for regurgitating googled information, but very limited capacity for understanding what you’re regurgitating. If you really think prairies only exist because of the soil type and wiping them out and replacing them with forests would not cause any harm, you have so, so many deficiencies in your understanding of ecology that it would be hard to know where to begin, even if you hadn’t already displayed a resistance to accepting when you’re wrong. You can deduce all you can about me to your heart's content, but those facts still remain. Google is only but a tool amongst the logical framework of my arguments. Look at the climate across Greater Houston. It is relatively uniform, which it should be given the flatness of landscape. While there are some variances between, say, Galveston and Tomball, there are no extreme climate transitions as seen around the topography of the Western US. Essentially, the climate across Houston is as you scientists like to call a "control." Therefore, the drastic intra-regional differences in natural tree coverage within the Greater Houston metro, from forest to treeless prairie, must be caused strictly by the differences in soil types. I really don't see the benefit of keeping the prairie, though. It's just flat landscape with no trees, with little value provided to the populace. What outdoor recreation is offered? What sustenance is provided? Where are the oodles of critically endangered unique organisms that would make it worth preserving at least on its own merit? Right now, it seems to me that replacing those prairies would actually be beneficial. The chinese tallow and honey mesquite has already done much of that work, anyway. All that's left is wiping out those trashy trees, and regrowing the land to true subtropical elegance. Well, we all now certainly know where you stand. Do you mean this prairie? You do live in Houston, right? You have been outside the city limits, right? Yes, those ones. There seem to be no real benefits to the prairies that forested land can't do a better job of. That's the very anthropocentric view of the world that has caused not only so much environmental degradation, but also imperiled human structures and lives, this idea that if a natural landscape isn't aesthetically pleasing or "useful" to humans there is no benefit to keeping it and it should be reformed into something else. This is what happened with the Everglades and mangroves of South Florida, just seen as ugly, alligator-infested swamp. Areas of glades were drained and tract housing put in, and mangroves chopped down to give people waterfront property. The reduced surface water in the glades almost immediately led to saltwater intrusion in the Biscayne Aquifer, the Miami area's main water supply, and the mangroves had been buffering the land from storm surges, so their loss meant greater damage to property from hurricanes. If you want more information on this, The Gulf: The Making of an American Sea by Jack E Davis is a fantastic read. Lots of unforeseen consequences to reshaping land to what is "better" for humans. I am trying, without success, to picture migrating ducks, geese, cranes, etc. happily perched in one of your mythic tropical forests. ...Along the numerous waterways that would still exist. The difference is that the Everglades actually contains unique, interesting biodiversity that makes it worth preserving on its own merit. Where is the unique biodiversity of the coastal Texas prairie, all I see are the same old grasses that grow all over the Midwest. I'll check out the book, though, it seems like an interesting read. Thanks. My land which along a waterway of Lake Houston, has a Charleston, New Orleans , near tropical look with some tropicals ( Pindo, Chinese Fan,Mexican Fan, and Queen Palms, some plumerias, a few bananas), lots of Swamp palmettos, spanish moss everywhere, and hundreds of pines. The pines and sweet gums were here and my wife and I kept the vast majority of them. Have a few flowering plants. Love the look. Very shady and relaxing. Lots of work though. Biodiversity doesn’t just come from saving the ecosystems that are “the most” biodiverse, but also from having a diversity of ecosystems, and prairies are actually one of the most imperiled ecosystems in the country, while forests have been growing for the past 100 years. Not to mention, there isn’t just one “prairie ecosystem “, there is short grass prairie, tall grass prairie, black land prairie, southern prairie ecosystems, northern prairie ecosystems....once again, you really have no idea what you’re talking about. Nope, my ideas are sound, you're just being defensive for the sake of it (same as others on this thread). No one here has named a single unique aspect about the coastal Texas prairie that would make it worthy of preservation, and not better off as forest. I need to see a sizable amount of rare, endemic species, then maybe I'd see the point. Accusing people of being defensive seems to be your standard canned response, but no, what’s happening here isn’t defensiveness, it’s incredulity that you are so blithely advocating the destruction of a natural habitat that doesn’t please your aesthetic sensibilities. ^^^I'm not actually advocating anything in so much as I'm saying that I'm not seeing the issue if that habitat were to be transformed. It's not like the Amazon where there are hundreds of unique creatures. Even the Serengeti of Africa, also a grass-based ecosystem, at least provides some unique interest. Hey there....want a shovel? You seem to just keep digging deeper and deeper. Tens of millions of years have conspired to make the Texas Coastal Prairie ugly as sin and nigh-uninhabitable to pre-modern humans. It's also a paradise to countless other species. We've only got cities here because of physical geography, not ecology. Try as you might, what's aesthetically pleasing will only exist in pockets here. But that's OK - there are plenty of pretty places within a few hours drive. Quit picking on the ugly - it never did anything to you. Wish as you may, the soil in the Katy Prairie isn't conducive to forests. If it was...surprise...there would be forests there. The only forests that will ever be planted on that prairie will have 4 bedrooms and 2.5 baths. Those forests are growing at a brisk pace. Ugly is in the eye of the beholder, just as much as beauty is. Some people like prairies. Why not? After all, you yourself told me that this issue was of high complexity. Ugly is in the eye of the beholder, just as much as beauty is. Good, now bring me some honey. After all this there have been several answers as to why preserving the prairies are worthwhile...you have just chosen to ignore or dismiss them. At any rate, this is just an academic exercise as the prairie will never be a forest due to the soil chemistry, it's current use in agriculture and it's future use for master planned communities. The coastal prairies south of I-10 help set up the water quality and the environment for the coastal estuaries. The coastal estuaries are responsible for about half of the seafood production for the Gulf of Mexico fisheries. If you replace these prairies with forests, the estuaries will suffer. That is why so much work has been done to try to fight off Chinese Tallow trees. The prairies north of I-10 are critical habitat for migratory waterfowl. Houston is a choke point on the North American Migratory Flyway. Significant habitat loss in our area has national implications. For some reason I already know exactly what this persons response is going to be to this. Whomever this person is is very predictable. Even though this persons ideas are pretty out there, I'm sure all of us would be willing to listen to this person and play with it as a hypothetical (thought experiments are a lot of fun) if this person was willing to listen to others, or even have respect for info they can provide. Such a waste of a potentially good mind drunk on his/her own arrogance/intelligence. The answers weren't satisfactory because they failed the criterion. And then you bring up potential for conversion to MPCs, meaning that the prairie may not be preserved anyway, ergo you defeated your own argument. FINALLY a somewhat decent answer. I'd certainly agree that the estuaries and coast present important assets for the Houston metro. And as I mentioned earlier this thread, I despise the Chinese Tallow, and don't see them as quality forest trees here. Good to see them being wiped out. But can you elaborate on these unique properties of prairies such that they help the water quality of those estuaries? Not seeing how they are any better than forests in that department, considering that the waterways that drain into those bays are already forested along their floodplains. I'd say industries like ITC are doing a lot more damage to water quality now than any habitat conversion ever will. As far as migrations, the birds need areas for stopover and rest, and what better for that than forests? For some reason I already know exactly what this persons response is going to be to this. "failed the criterion," ie, your narrow criterion that is out of touch with the realities of the local ecology. August498 doesn't "defeat his own argument", he makes an argument for preserving the prairies and not allowing any more building on them. The threat of development is still no valid argument for turning it into forest. Prairies are better than forests because they are the ecosystem that is adapted to that location, and no, it's not "just soil", it's rainfall, both total rainfall and rainfall patterns. There is a reason the Piney Woods give way to the Post Oak Savannah in the northwest part of the area and the prairies in the west and southwest parts. As you move east to west, rainfall is lower, surface water sources are farther apart, and groundwater is often deeper, too. Compare Sam Houston National Forest, with annual rainfall close to 140 inches, with Attwater Prairie Chicken National Wildlife Refuge, at around 55 inches. Saying "industry is doing more damage to water quality than habitat conversion would" is still not an argument in favor of habitat conversion, even if it were possible to sustain the habitat conversion, which it likely would not be, see above. As for migrations, dbigtex56 already touched on this, and it demonstrates yet another area where you are woefully uninformed. Not every species of migrating bird looks for forest. Sandhill cranes, for instance, don't ever live in forests. They breed on open tundra in the summer, and overwinter on our prairies. There are many bird species, both migratory and nonmigratory (as well as other plant and animal species) that require prairie habitats. You are almost trolling at this point, but I will bite. Native prairie grasses have very deep and dense root systems that are very spongy. When you get heavy rains, the prairie grasses are very good at soaking up the rain and the density of the grasses and their root systems keeps the soil from eroding in runoff. Also, the dense root systems are very good at filtering out pollutants. The filtering capacity of prairies is far superior to forests as the roots are less dense and there is more runoff and erosion. Ducks, geese, sandhill cranes, whooping cranes, and other wading birds need wetlands. Prairies are full of wetland environments that are critical habitat for these birds. Warblers, sparrows, finches, flycatchers, etc. do need forests, but there is no benefit to these birds in expanding forests by eliminating prairies. I'm afraid you're confused. I merely pointed out the reality of the situation, which contradicts your yearning for forests instead of prairie. I can't defeat an argument I didn't make. Straw man anyone? As for the criterion, that's subjective. The poster was listing reasons why the conversion wouldn't go through, two of which are practices that would also wipe out the prairie (agriculture and MPC building). At least the conversion would actually enhance the ecology of the area. If the existence was truly from the rainfall gradient, then the coastal prairie would be following more of an east-west line. But look at the actual coverage, it basically hugs the entire Texas coast, and runs into a triangular notch in SW Louisiana. Which means that the prairie covers areas like Central Houston, Beaumont, and SW Louisiana that receive more rainfall than SHNF and other areas of the Piney Woods (which is nowhere near 140 inches). Coastal prairies receive approximately 142 cm, or 56 inches, of rain each year. Ordinarily this amount of rainfall would lead to forest cover types, but the underlying claypan soil inhibited root penetration by larger, woody species allowing the coastal grasslands to thrive. Dryness becomes more of a factor going west, as well as heading south along the coast towards Corpus and Brownsville, but even these areas are still wet enough to support forest (albeit shrubbier and more drought tolerant). The true climate transition doesn't begin until you get to the Cross Timbers. There was no argument at that point of the post, it was just part of an inquiry regarding the supposed benefits of prairies over forests that the poster was suggesting. Even when they go to the prairie, the birds are looking for TREES to rest and stopover on during their long journeys. Hence why the conservancies emphasize the importance of "mottes." Therefore, the habitat conversion would result in an offering of that biological ammentie to the nth degree. Even in the absence of prairie, the waterways and coast would provide more than enough open area for birds like the sandhill crane. First off, soils in forest lands don't cause as much runoff issues in the first place, because they tend to be better drained/permeabile than those under prairies, meaning that more of the water goes to recharge the underground aquifer. Second, the root system of any tree includes both depth (taproot) and lateral anchoring, far superior to any grass when it comes to holding the soil. As I mentioned before, the converted habitat would still have the coast, along with the numerous ponds, waterways, etc, which leaves more than enough room for all those waterfowl. Meanwhile, the perching birds definitely have more resting spots, easy food access, coverage, etc in forests than in prairies. Biodiversity improves. Those birds all have superior resting areas, combined with more shadow to allow shade tolerant plants, while still having enough openings for the sun-loving species that grow in the prairies. Except that there's nothing that says areas dedicated to forest can't exist alongside agricultural lands and neighborhoods. So no contradiction there. Of course there's a subjective component to these matters, hence why I specified my qualifier: name a single reason to preserve these prairies that won't be better served by a forest. He was stating that the discussion was academic, for several reasons, including, unfortunately, that people are still intent on building tract homes on the prairie. That does not "defeat his argument" that converting prairies to forests is an ecologically foolhardy suggestion. No, soil is not the "true influencer" you are being ridiculously reductivist, it's soil, it's rainfall, but as I said before, it's not just average annual rainfall that matters in supporting forest, it's rainfall patterns, seasonal rainfall, so if you have marginal soils for forest AND they're getting plenty of rain, but it's coming at the wrong time of the year for trees' growing cycle, and you don't have close-enough spaced local watersheds, you're going to get prairie in between your riparian forests. Even if you were right and soil type were the predominant factor, that would make your argument for "wiping the entire prairie out, and replacing it with subtropical jungle forests" a stupid idea that would never work. If soil is the reason it can't grow forests, how the hell do you think we're going to replace all the soil on the coastal prairie? When you look at the soil types of Harris County, roughly below I-10 we are dominated by the Midland-Beaumont association: poorly drained, very slowly permeable, loamy and clayey soils. Yes, that's a very hard soil type to grow forest on. Except, this type extends all the way up into the extreme northeast part of Harris County where it hits Liberty County, which is all dense pine forest. So obviously soil type isn't all that's going on here. And that kind of soil isn't predominant everywhere. North of I-10, the Clodine-Addicks-Gessner association predominates. It's a loamy, poorly drained, moderately permeable soil, yet it supports dense pine forest east of 290 all the way to past 59 North , transitioning to open woodland and prairie west of 290. So obviously soil type isn't the driving factor on that soil type, either. And Clodine-Addicks-Gessner association transitions to Katy-Aris association west of Highway 6. Katy-Aris is actually a little better soil for forests in some ways than Clodine-Addicks association, but we know what the landscape looks like west of Highway 6, now don't we? "Even when they go to the prairie, the birds are looking for TREES to rest and stopover on during their long journeys." No. Not all bird species are looking for trees. And then we have all the other avian and nonavian nonmigratory species that are specifically adapted to prairie life. And prairies are actually the more endangered habitat. We actually have more forest than we did 100 years ago, but prairies are diminishing. You are a troll. You cannot swap out the prairie habitat for various ponds and waterways in a forest environment. The main reason so many ducks, geese, waders, etc. flock to the prairie is for food. Prairie pot holes and wetlands are full of food for these birds. Bugs, seeds, plant tubers, grains, berries, insects, earthworms, mice, snakes, lizards, frogs and crayfish are in abundance in prairie habitats but do not exist in woodland environments, even when there are ponds, streams, etc. Just go to the Katy Prairie or Brazoria NWR in the spring and then go to a wooded area and compare the number of ducks, geese, etc. that you see. Passerines do not need the prairies. They generally will stop to rest north of I-10 in wooded areas when migrating when wind currents are favorable. The coastal "migrant traps" are critical when there are fall out conditions. But, again, you will do way more harm getting rid of prairie habitat than any benefit gained from adding wooded habitat when it comes to birds. Forests and prairies are both great for water quality. But you want a prairie up against your coastal estuary environment because it is much better at withstanding floods/droughts than forested land. That is why you see wooded areas further inland and closer to waterways with prairies filling up the rest of the land mass in natural areas like Brazoria, San Bernard and McFaddin NWR. If you rip out prairie and replace it with a forest that dies off in a drought, you will have a big ecological mess on your hands. Forests and prairies are both great for water quality. But you want a prairie up against yo﻿ur coastal estuary environment because it is much better at withstanding floods/droughts than forested land. That is why you see wooded areas further inland and closer to waterways with prairies filling up the rest of the land mass in natural areas like Brazoria, San Bernard and McFaddin NWR. If you rip out prairie and replace it with a forest that dies off in a drought, you will have a big ecological mess on your hands. I just wanted to single out and emphasize this excellent point that is the central issue in this discussion.